Our Providers – North Carolina Nephrology, P.A. 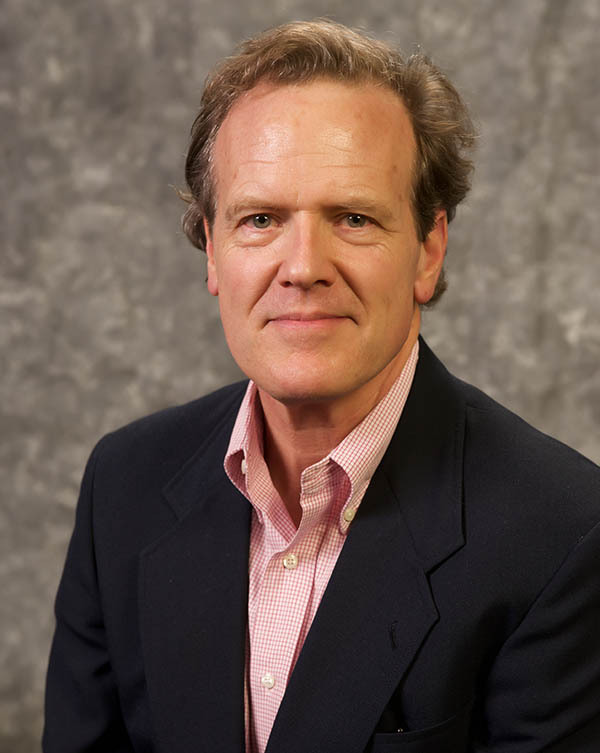 Michael J. Casey, M.D., is a graduate of the University of North Carolina School of Medicine. He performed his Internal Medicine and Nephrology training at Wake Forest University School of Medicine. His special interests are hypertension, pre-ESRD care and critical care nephrology. Jason Eckel, M.D., received an undergraduate degree at Ohio State University. He continued at Ohio State for Medical School followed by training in Internal Medicine, Nephrology at Duke University Medical Center. 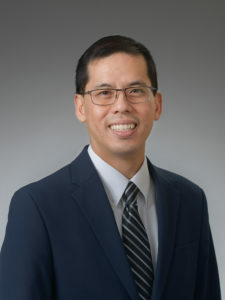 William L. Fan, M.D., completed his clinical nephrology training at Duke University Medical Center and his research fellowship at the Duke Hypertension Center. He is a graduate of the University of North Carolina School of Medicine and completed his Internal Medicine training at UNC Hospitals. His special interests include difficult-to-control hypertension, chronic kidney disease and critical care nephrology. James Godwin, M.D., received an undergraduate degree from the University of Kansas. He continued at Kansas for medical school followed by training in Internal Medicine, Nephrology at the University of North Carolina at Chapel Hill. Karn Gupta, M.D., completed his clinical Nephrology fellowship at the University of Wisconsin School of Medicine followed by a fellowship in Interventional Nephrology at the University of Wisconsin. He is certified by the American Society of Diagnostic and Interventional Nephrology. His special interests include endovascular/dialysis vascular access procedures, hypertension and critical care nephrology. 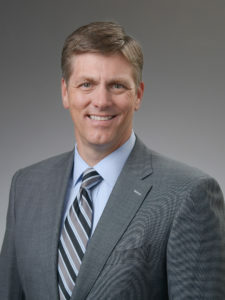 Jeffrey Hoggard, M.D., F.A.S.N., F.A.S.D.I.N. 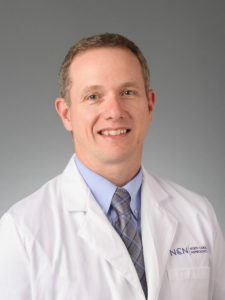 Jeffrey G. Hoggard, M.D., F.A.C.P., F.A.S.N., received an undergraduate degree and Doctor of Medicine degree from the University of North Carolina at Chapel Hill. He did his residency in Internal Medicine and his fellowship in Nephrology at the University of Texas Health Science Center in San Antonio and he is Board certified in Internal Medicine and Nephrology. In addition, Dr. Hoggard is certified by the American Society of Diagnostic and Interventional Nephrology in hemodialysis vascular access procedures. 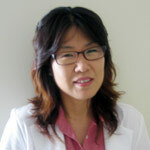 So Yoon Jang, M.D., received an undergraduate degree in Chemistry from Clark University in Worcester, Massachusetts, and her Doctor of Medicine degree from University of North Carolina at Chapel Hill. 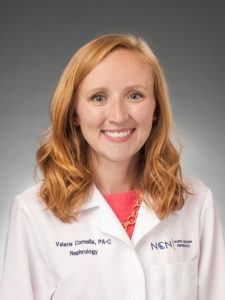 She did her Internal Medicine residency at UNC Chapel Hill and completed Nephrology fellowship at UNC Chapel Hill. 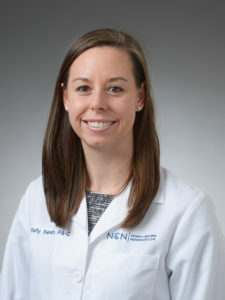 She also completed AST/ASN accredited Nephrology Transplant fellowship at University of North Carolina at Chapel Hill. 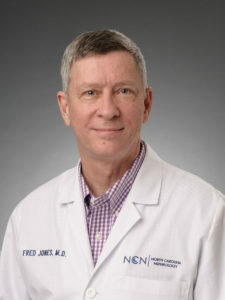 Fred Jones, M.D., is a graduate of the University of North Carolina at Chapel Hill and Rush Medical School. 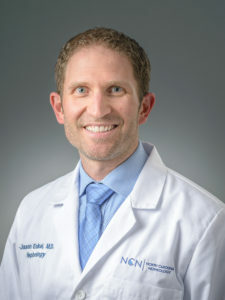 He received his Internal Medicine training at the University of Kentucky Medical Center and his Nephrology training at Duke University Medical Center. 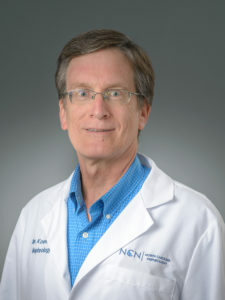 Dan Koenig, M.D., received an undergraduate degree from Duke University. He continued at Duke for medical school followed by training in Internal Medicine at Duke University Medical Center and Nephrology training at Vanderbilt University Center. Kevin Lee, M.D., received an undergraduate degree from the University of North Carolina at Chapel Hill. He continued at UNC for medical school followed by training in Internal Medicine and Nephrology at UNC Hospitals. Sammy A. Moghazi, M.D., completed his clinical Nephrology fellowship at Emory University Medical Center. There, he had a special interest in dialysis access, renal ultrasound, and renal cysts. Prior to fellowship training, he finished his Residency at Emory University Department of Medicine. 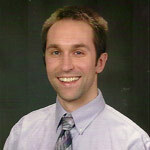 Michael Monahan, M.D., received his Internal Medicine training at Emory University in Atlanta. He received specialized Nephrology training at Tufts University in Boston. Michael l Oliverio, M.D., received an undergraduate degree from West Virginia University. He continued at West Virginia University for medical school followed by training in Internal Medicine and Nephrology at Duke University Medical Center. Robert E. Olivo, M.D., received his Doctor of Medicine degree from the State University of New York at Stony Brook. 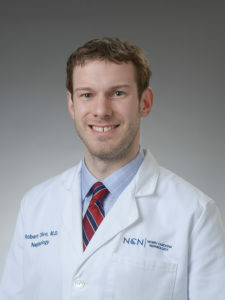 After completing his Internal Medicine residency at Vanderbilt University Medical Center, he continued with clinical nephrology training at Duke University Medical Center and a clinical research fellowship at the Duke Clinical Research Institute. 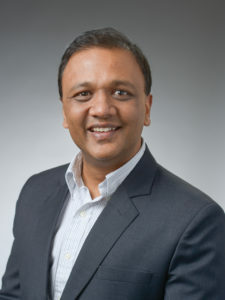 Sejan B. Patel, M.D., received Nephrology training through Duke University Hospitals and Internal Medicine training through Case Western Reserve University Hospitals. He graduated from The Ohio State University College of Medicine and University of Michigan. He has been certified by the American Society of Diagnostic and Interventional Nephrology. Areas of specialization include interventional nephrology, where he performs endovascular interventions on dialysis access, and home dialysis therapy. 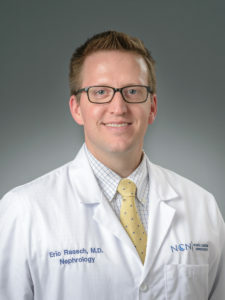 Eric Raasch, M.D., received his undergraduate degree in Biochemistry from the University of Tulsa, in Tulsa, Oklahoma, and his Doctor of Medicine from the University of Oklahoma College of Medicine. He then completed Internal Medicine Residency at Wake Forest University Baptist Medical Center and Nephrology Fellowship at Duke University Medical Center. Mark D. Rothman, M.D., received his Internal Medicine training in New York City at Long Island Jewish Hospital and Mount Sinai School of Medicine. He received his specialized training in Nephrology at Mount Sinai School of Medicine. Dr. Rothman retired from NC Nephrology on 12/31/2017. Samsher B. Sonawane, M.D., completed his clinical Nephrology and research fellowship at the Hospital of the University of Pennsylvania. He trained in Internal Medicine at Columbia-Presbyterian Medical Center in New York City. He graduated from the University of Maryland School of Medicine and UNC-Chapel Hill. His special interests include kidney stones, critical care Nephrology and the care of kidney transplant recipients. 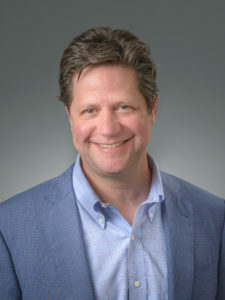 Adam Stern, M.D., received his undergraduate degree in Biology from Hofstra University and his Doctor of Medicine from New York Medical College. He then completed his Internal Medicine Residency and Nephrology Fellowship at UNC Chapel Hill. Phillip Z. Timmons, M.D., is a graduate of East Carolina University School of Medicine. 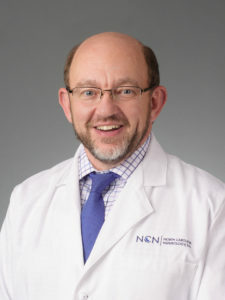 He received his Internal Medicine training at Norwalk Hospital and Yale-New Haven Hospital, and specialized training in Nephrology at Duke University Medical Center. Alexis earned her undergraduate degree at High Point University in North Carolina where she majored in biology and minored in chemistry and psychology. She completed her Master of Public Health degree with a concentration in health behavior and health promotion at the University of Arizona. 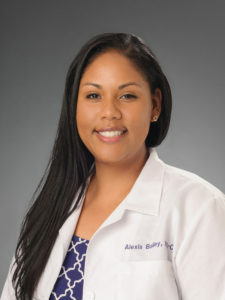 Alexis is a board-certified PA who received a Master of Science in Physician Assistant Studies from Shenandoah University in Winchester, Virginia. 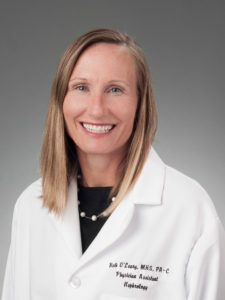 She is a member of the American Academy of Physician Assistants as well as the Triangle Area Physician Assistants. 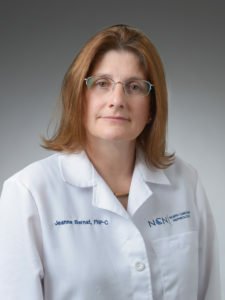 Jeanne Bernat, FNP-C, is an ANNP certified Nurse Practitioner that has been practicing since 2012. She received her BSN in 1998, as well as her MSN with concentration in Family Nurse Practitioner in 2012, from East Carolina University. Jeanne has been practicing in nephrology, specifically dialysis, since 2015. Her previous experience includes Family Practice, Internal Medicine, Endocrinology and Gastroenterology. Jeanne is a member of American Nurses Association, North Carolina Nurses Association, Sigma Theta Tau, and the National Kidney Foundation. Shannon graduated from Xavier University and continued at College of Mount St. Joseph where she completed her Masters in Nursing. She went on to practice nursing in cardiac, medical and surgical intensive care units where she obtained her critical care nursing (CCRN) and cardiac medicine (CMC) certifications. Following this, she completed her post graduate degree at Duke University as an Adult-Gerontology Nurse Practitioner. 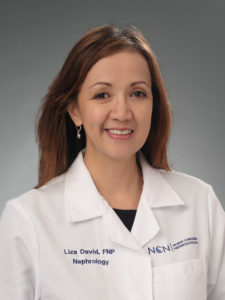 She is a member of the American Association of Nurse Practitioners and as an NP has concentrated in cardiology, critical care and nephrology. Valerie graduated from the University of North Carolina at Chapel Hill where she majored in biology and minored in chemistry. In 2013 she graduated from South College-Knoxville with her Master of Health Science in Physician Assistant studies. 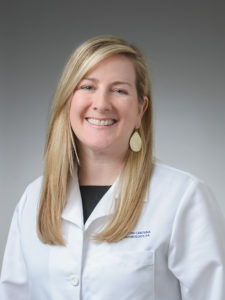 She is a member of Triangle Area Physician Assistants. Liza received her undergraduate degree in Saint Louis University, Philippines. She is a registered nurse specializing in surgical, trauma, critical care, cardiac, medical and cardio-thoracic critical care. 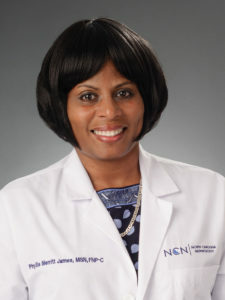 In 2005, she completed her MSN-FNP degree at UNC-Chapel Hill, NC. She started working as a Nurse Practitioner with our Nephrology Team with her focus mainly in the acute inpatient hospital-based setting. Kelly graduated from East Carolina University with a Bachelors and Masters in Exercise Physiology. In 2013, she then completed her Masters in Physician Assistant Studies from ECU. Kelly has numerous years of experience in Cardiology and Hospitalist Medicine. 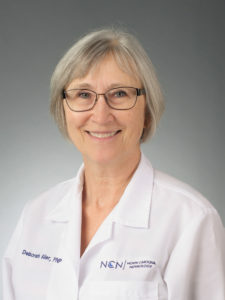 Phyllis received her Bachelor of Science in Nursing from UNC Chapel Hill in 1987, her Master of Science in Nursing from East Carolina University in 1995 and her Post Master’s Certification Family Nurse Practitioner from UNC Chapel Hill in Dec 2003. Her background experience includes neurosurgery, critical care, pediatric home care, chronic disease management and case management. She received her Nurse Practitioner board certification from the American Association of Nurse Practitioners in 2004. She is a certified case manager (CCM), BLS and ACLS provider and instructor ,as well as a speaker for Eastern AHEC in chronic disease management and has over 13 years experience as an advanced practitioner in nephrology and internal medicine. Beth graduated from Duke University with an A.B. degree and from Duke University School of Medicine with a Master of Health Sciences. 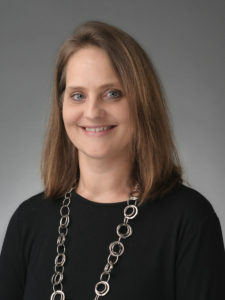 She has been a Physician Assistant in nephrology since 1998. Jessica received an undergraduate degree in Biology at the University of Rochester. She completed her Physician Assistant studies at the Rochester Institute of Technology. Deb received both her BSN and MSN from Wilmington University in Wilmington, Delaware. 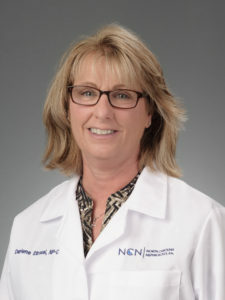 Deb has numerous years of experience in the field of nephrology. Yolanda received her Bachelor of Science in Nursing from East Carolina University in Greenville, North Carolina, in 1996. 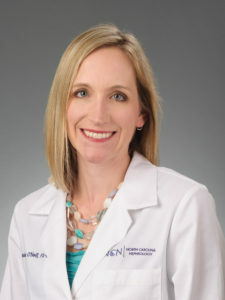 She worked as a Registered Nurse at WakeMed for over 16 years in various departments such as Trauma and Surgery rehabilitation, and Emergency Services. She graduated from Pfieffer University in 2007 with a Masters in Healthcare Administration and went on to manage the staff of the Clinical Evaluation Area at WakeMed for 5 years. She then graduated from Duke University with a Master of Nursing in May 2015. She received her Adult-Gerontology Nurse Practitioner certification from the American Association of Nurse Practitioners. 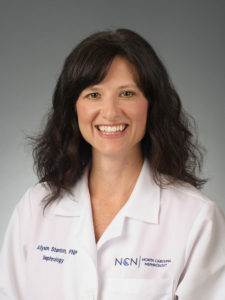 Allyson graduated from East Carolina University with a Bachelor’s Degree in Nursing in 2000. She then earned her Master’s Degree in Nursing – Family Nurse Practitioner from Duke University in 2005. She is board certified by the American Academy of Nurse Practitioners and has been practicing as a Nurse Practitioner since 2006. Her background as a registered nurse includes working as a staff/charge nurse in a variety of clinical settings including Cardiac Intensive Care for 4 years before becoming a Nurse Practitioner. Darlene started her nursing career in 1998. 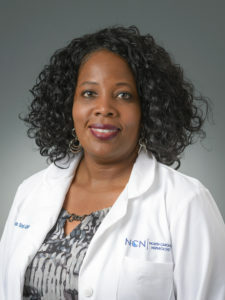 After working as a registered nurse in Nephrology she returned to school and received her Bachelor of Science in Nursing from Jacksonville University. She went on to practice in the surgical/trauma intensive care unit and obtained her critical care nursing (CCRN) certification. Following this, she completed her post graduate degree at Eastern Carolina University as an Adult Nurse Practitioner. She is a member of the American Association of Nurse Practitioners as well as Critical Care. She now specializes in ESRD and dialysis management. Karla graduated from Cox Nursing school in Missouri and completed her BSN at Southern Connecticut State University. She has 18 years of experience working in various areas of dialysis, ranging from, in-center, acute care and management. Over the past several years, her focus and enjoyment has been on providing education and support for patients with chronic kidney disease.